‘Creative Wigan’ is part of the Wigan Sector Development and Enterprise Networks Programme. The aim of the initiative is to support local businesses through sector focused networks, for each of three sectors: creative / digital / new media, ICT digital and environmental - to increase productivity and profitability. Trading conditions are as challenging as they’ve ever been, so meeting the needs of small creative businesses has never been more important. The forum is a vehicle for business owners to meet, exchange ideas, barter expertise and time, or even to collaborate for mutual benefit. Creative Wigan is a no-nonsense sector forum to help YOUR creative or digital business working together, with support from industry experts, will create a power base for finding new customers, working more effectively, buying more efficiently, learning new skills, working with other businesses and driving change through collective lobbying. Industry specialists will supply the input that YOU decide you want, with access to the people and organisations who can help you survive and thrive in this recession. From networking to joint procurement. Advice on pitching or access to finance. International trade or new skills. If you run a creative or digital business in the borough of Wigan, or are thinking of setting one up, you qualify for this programme. Your business can be of any size from large SME to micro (so that could mean there’s just you). We encourage collaboration across sectors, so ICT businesses are also welcome. In this age of rapidly advancing technology, business models need to be flexible and open to absorbing new skills - or know where to find them. From film and tv production to advertising and design. From games and music to performing arts and artists. Writers, composers, animators, sculptors, photographers and so on. If you have a passion for creating and exploiting intellectual property, you’re one of us and deserve some help. 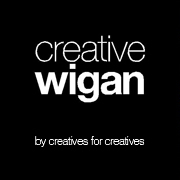 The team behind Creative Wigan are renowned industry experts. Andrew Patrick, former CEO of the British Film Commission and inaugural head of the region’s screen agency. Dr Ian Eddison, former Director of the DTi / EPSRC national JFIT programme and COO of Cyberview Technology. And Ray Hanks, former Head of Creative and Digital Industries at NWDA and Director of The Northern Way Innovation Programme. The team were part of the region’s innovative business adviser project helping supported businesses achieve increased and safeguarded sales of £511 million, and impacting on 7,300 jobs. All three were part of the record breaking North West Regional Business Adviser team and each has successfully run key industry businesses, and helped many others to run theirs. Whilst that’s an impressive pedigree it doesn’t come with a guarantee. We all hear the recession stats on a daily basis. We seem to get used to the bad news and get excited all too easily by signs of green shoots. It’s a no brainer that seeking common sense advice is the right thing to do when times are tough. (And equally true when times are good.) Joining this forum will be one step in that direction. You’ll meet other businesses who are experiencing the same tough trading conditions as you. Sharing different approaches and solutions may be just what your business needs.